Vietnamese still cannot churn out manufacturing steel, while it has to import 18 million tons of products each year, contributing to a trade deficit of $7 billion. Only 10 Vietnamese enterprises can meet requirements to join Samsung’s global production chain. Most of the criteria Vietnam has set to become an industrialized country by 2020 appears to be unattainable. The country's industrial development policies have been described by strategists as ‘cumbersome in words, with no focus and too many preferences’. Kenichi Ohno of the National Graduate Institute for Policy Studies, who has taken part in the policy-making process in 20 countries in Asia and Africa, commented that Vietnam’s policies were not good and even worse than some African countries. According to the expert, who has been keeping a close watch over the process in Vietnam for tens of years, the process must experience some steps, from compiling documents, to implementing and reviewing the effects. However, in Vietnam, in most cases, only document compilation is finished. He noted that in Vietnam’s industrial development policies, the core information cannot be found or it is not clear. Meanwhile, the policies lack action plans the mechanisms to be sure the policies can be implemented. Most of the policies have a long term vision until 2030 or 2035, but changes occur daily in the global integration era. He went on to say that Vietnam sets too many goals, about 13-18 goals instead of focusing on one or two important ones. Too many preferences means no preference. Duong Dinh Giam from the Vietnam Economics Science Association, former director of the Ministry of Industry and Trade’s Industrial Policy Institute, also commented that there were too many industries that want to be prioritized to claim preferences. However, despite preferences, Vietnam’s industries still grow weakly. Vietnam still cannot make telephone lines, standard jack screws and paint for automobiles. But, it still has an ambitious plan on developing an automobile industry. Truong Thanh Hoai, director of the Heavy Industry Department, said that Vietnamese still cannot churn out manufacturing steel, while it has to import 18 million tons of products each year, contributing to a trade deficit of $7 billion. 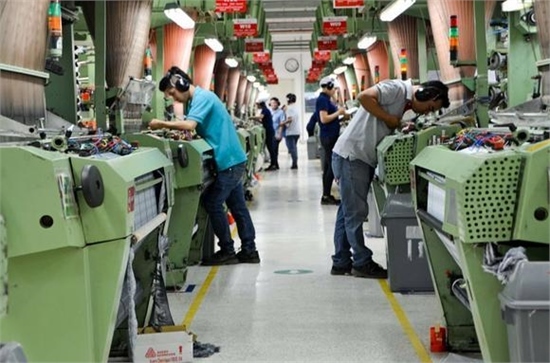 Only 10 Vietnamese enterprises can meet requirements to join Samsung’s global production chain. Citing examples, Hoai said that Vietnam sets high goals but has not reached a high technological level. A representative of Unido in Vietnam said Vietnam still needs 30 years to catch up with the Philippines. Vu Thanh Tu Anh, director of the Fulbright Economics Teaching Program (FETP), said that while Vietnam’s situation is now quite different from that of 10-20 years ago, the way make policies remains unchanged. Policymakers still mostly consult state-owned enterprises which only make up 30 percent of GDP, and do not consult the private sector.